This luxury Venetian mask is made from black laser cut metal formed into a butterfly wing design and adorned with crystals. Black satin ties provide a comfortable fit. 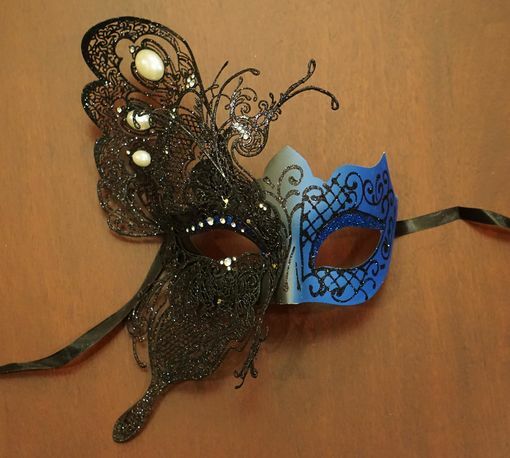 A truly stunning piece, this Venetian beauty makes for a wonderful mask for any masquerade event � perfect for any black tie, masquerade themed wedding or an upscale Halloween costume ball.